Miss Saigon is currently touring in Ireland and in the UK, with homegrown Filipino artists right at the forefront. 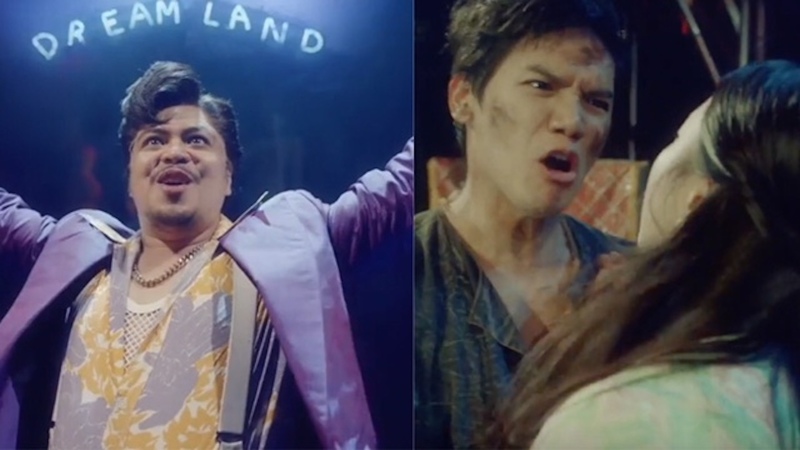 In the new trailer released by the company a few days ago, you can get a sneak peek of Red Concepcion playing The Engineer and Gerald Santos playing Thuy, Kim’s cousin and betrothed. They play opposite co-stars Sooha Kim (Kim) and Ashley Gilmour (Chris). Other Filipinos currently in the company are Joreen Bautista (alternate Kim), Christian Rey Marbella (alternate Engineer and ensemble), and ensemble members Kristine Diaz, Aynrand Ferrer, Ela Lisondra, and Winchester Lopez. Aicelle Santos and Joaquin Pedro Valdes will be flying out to England to play Gigi and understudy Thuy respectively, with Iroy Abesamis joining the ensemble.